In daily life, description and location of certain objects on the web are much dependent on color names. Therefore, a maturely-implemented matching subsystem for color descriptions will certainly facilitate web applications in the domains concerned, such as image retrieval, clothing search, etc. 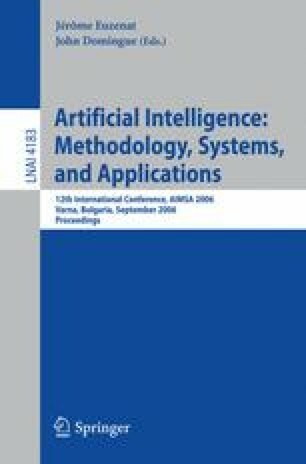 However, both keyword matching and semantic mediation by the current ontologies are confronted with difficulties in precisely evaluating the similarity between color descriptions, which requests the exploitation of “deeper” semantics to bridge the semantic gap. What with the inherent variability and imprecision characterizing color naming, this paper proposes a novel approach for defining (1) the fuzzy semantics of color names on the HSL color space, and (2) the associated measures to evaluate the similarity between two fuzzified color descriptions. The experimental results have preliminarily shown the strength of the deeper semantics surpassing the ability of both keywords and WordNet, in dealing with the matching problem of color descriptions.